If you’re anything like me getting to go out with your other half, alone, is somewhat of a real luxury. I’m guilty of making time for my family, my friends and pretty much most people apart from my husband – because, you know, I see him all the time. But actually it is really important to set time aside for just the two of you too. A time to chat without distractions, the opportunity to enjoy a meal without someone spilling a drink over, space to be together without the demands of day to day life. 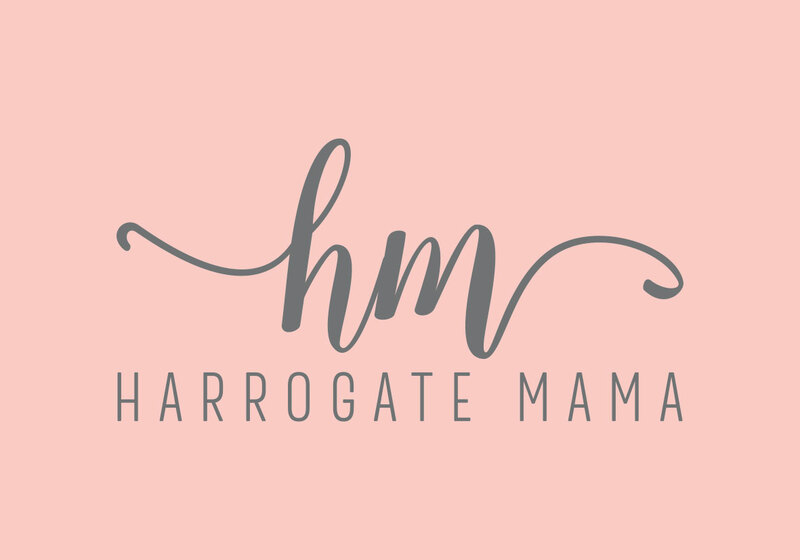 So Harrogate Papa and I had a lovely time when we visited Cote Brasserie in Harrogate for dinner and drinks on our wedding anniversary – because, you know, how else can you justify a night out without a reason! I’m pretty sure you shouldn’t need a reason to spend time together, but sometimes busy family life just gets in the way! 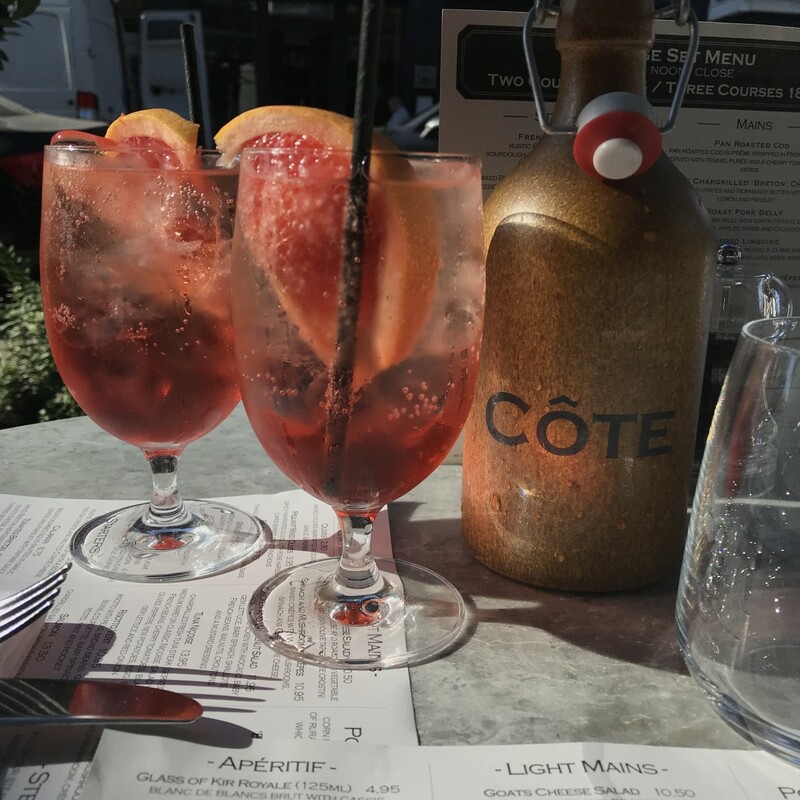 Cote Brasserie was as gorgeous as always, we started off our evening with their summer aperitif, Pampelle Spritz! 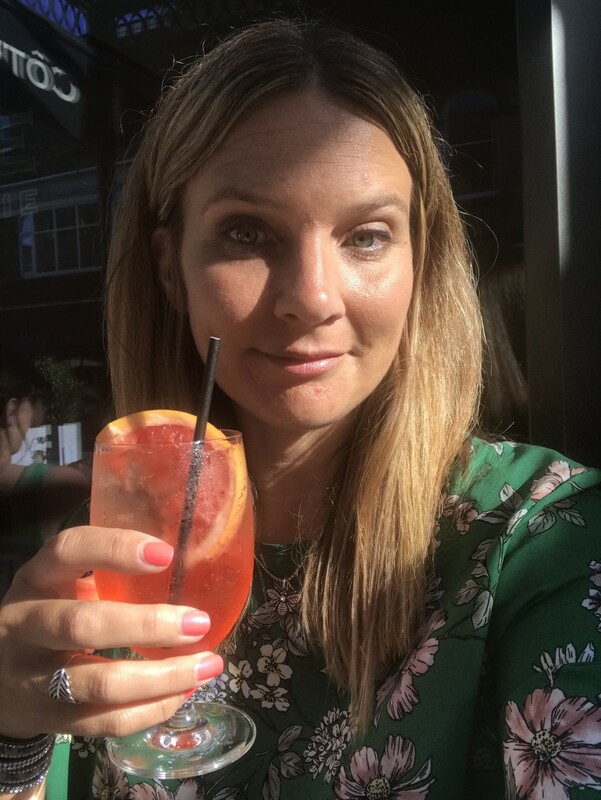 It’s the perfect drink for me as I love grapefruit – it was a huge craving of mine when I was pregnant with the Big Girls (without the alcohol of course!). Pampelle Spritz is a refreshing infusion of natural botanicals, bitter sweet citrus peel and crisp ruby red grapefruit which, combined with sparkling wine, which makes for a perfect aperitif to start your meal! 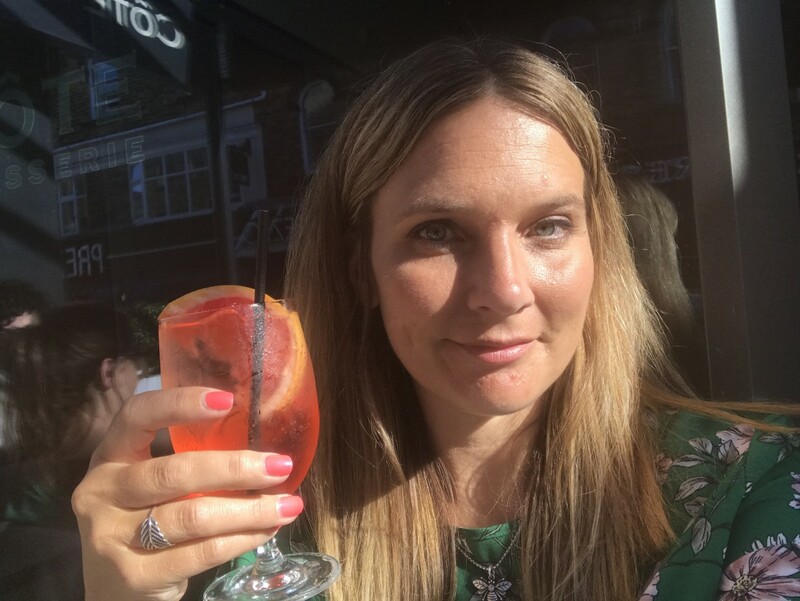 I’d had a particularly hectic day with work, I’d been outdoors and walking all day in the heat at the Great Yorkshire Show so it was the perfect refreshment for me. So Harrogate Papa and I were able to sip, enjoy and unwind, glass in hand, in the sunshine, without the Smalls around to interrupt our early evening conversation, a luxury of times gone by! 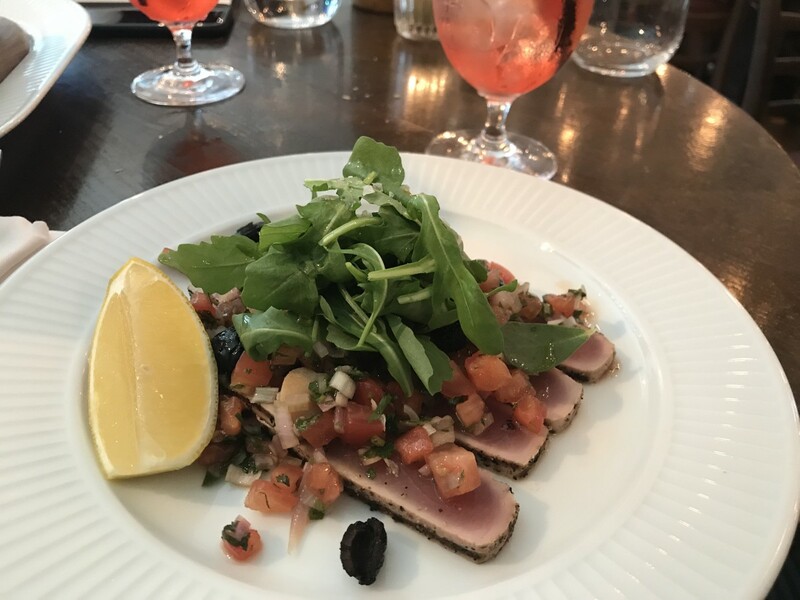 For our main meal we moved inside and I enjoyed their July special starter – Tuna Carpaccio, which was amazing – sliced, lightly seared raw yellowfin tuna with black olives and sauce vierge. I love food like that and I’m pretty sure I was born to live in the Mediterranean! 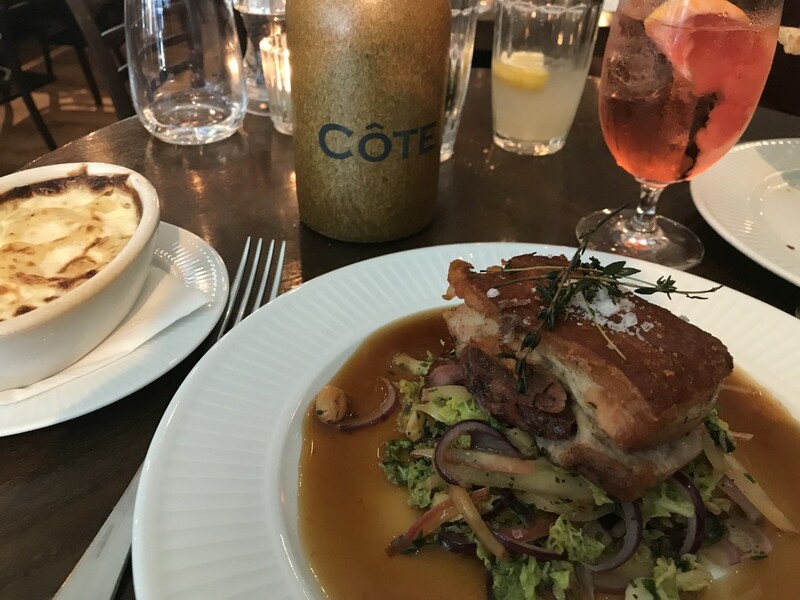 Harrogate Papa went for a classic Chicken Liver Parfait with toasted brioche, one of his faves, he followed it up with the pan Roasted Pork Belly with gratin potatoes – his idea of heaven. 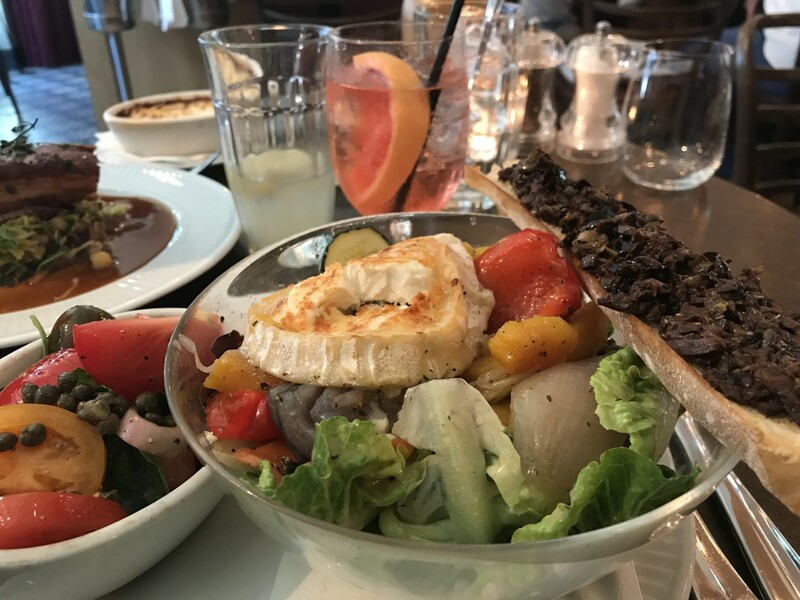 I chose the Goats Cheese Salad from their Light Mains option, which was served warm with a roasted vegetable salad and a black olive tapenade crostini – which one of the Big Girls would have loved (why do you always think about the Smalls when out without them! Gah!). It was perfect. 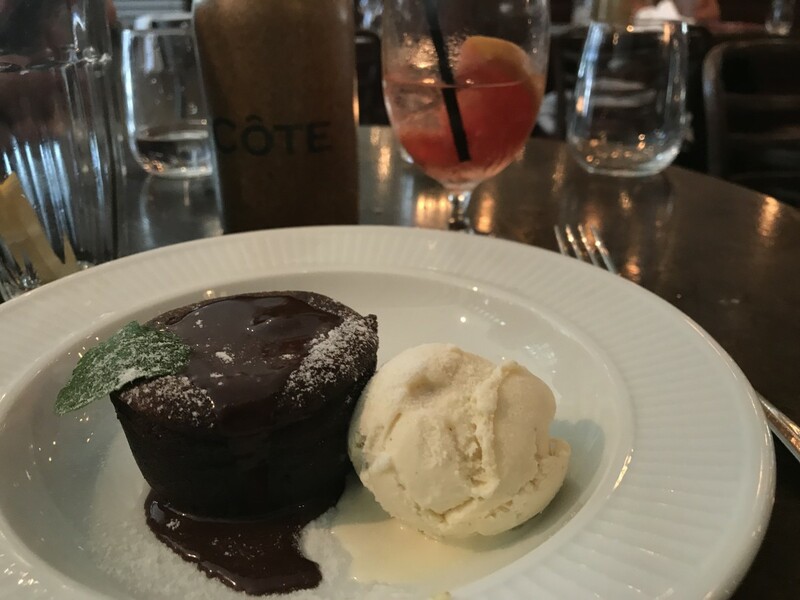 I couldn’t resist the chocolate fondant for desert! The perfect end to the perfect evening! 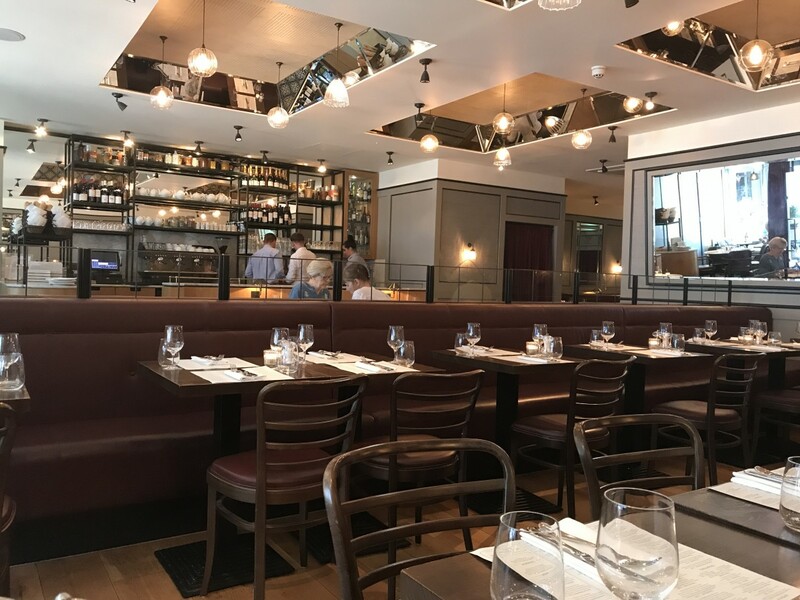 I love that whenever you visit Cote Brasserie, the service is always great, the food is always spot on and you feel like you’ve had a grown-up treat in a nice setting without too much fuss. It was the ideal spot for date night. I’m looking forward to going back again, just need to arrange that babysitter…! Cote Brasserie kindly invited us in to review with their compliments, the views as always are my own.